President Calvin Coolidge started the tradition of lighting up the official White House Christmas tree in 1923. Since then, every American president has honored this tradition and made it one of the most beloved ones in the White House. Christmas 2016 marks the last year that President Obama will light up the White House Christmas tree. The White House Christmas tree is also known as the Blue Room Christmas Tree. It is the official Christmas tree at the residence of the President of the United States. The first indoor Christmas tree was installed in the White House in the 19th century. Since 1961, the First Lady of the United States, Jacqueline Kennedy decided the theme for the official Christmas tree at the White House, and made it a tradition. Who was the First President to Have a Christmas Tree in the White House? The first Christmas tree in the White House was in 1889 under the administration of President Benjamin Harrison. It was placed in the Yellow Oval Room on the second floor which, at that time, was being used as a family parlor and library. The Christmas tree was decorated with candles, toys, and ornaments for Harrison’s grandchildren. First Lady Caroline Harrison helped decorate the Christmas tree. How Many Christmas Trees are There in the White House? The number of Christmas trees in the White House has varied over the years. There is one main Christmas tree inside the White House, and there is another one just outside of the White House grounds. The President has lit this tree every year since 1923. The same 28 ft Colorado living blue spruce has served as the National Christmas tree since 2012. This tree is from Virginia and has a special underground base to protect it from flooding. For a number of years, the record for having the most Christmas trees in the White House was set by President Eisenhower who had 26 trees throughout the building! 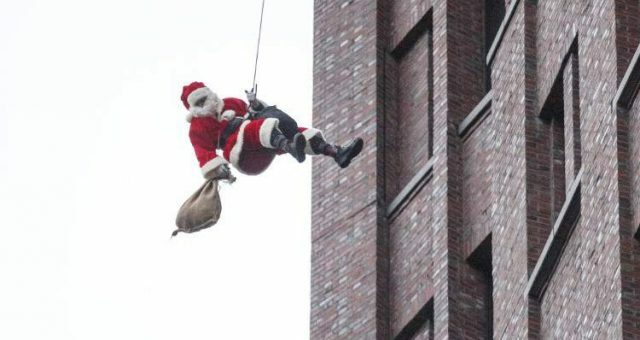 This was beat in 1997 by the Clinton administration, who had 36 trees in the White House for their “Santa’s Workshop” theme. 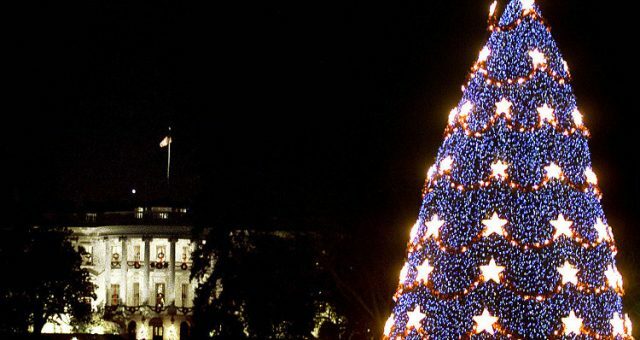 Which President Lit the First White House Christmas Tree? The first president to light the White House Christmas tree was President Calvin Coolidge. On December 24, 1923, Coolidge pressed a button to light up the White House Christmas tree and the tradition carried on ever since. 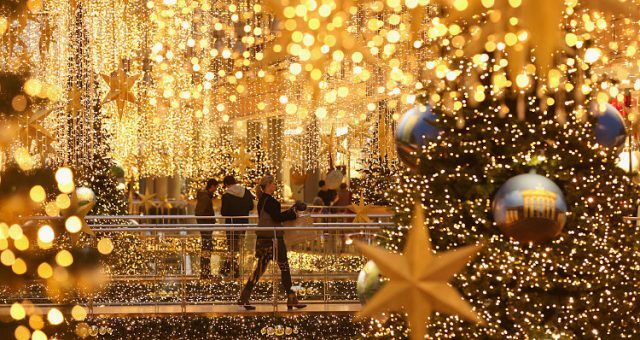 This was the first Christmas tree to be decorated with electric lights, with strands of 2,500 red, white, and blue bulbs. It is sometimes called the first White House “community” Christmas tree. The lighting was a big event, and several musical groups performed at the ceremony. 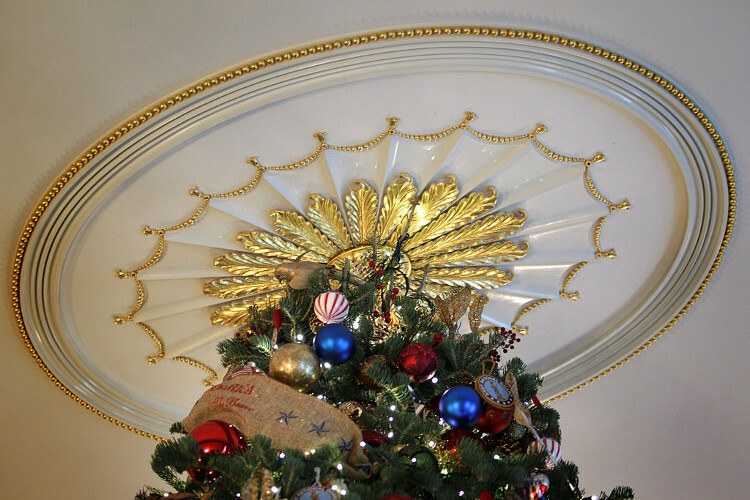 Who Started the Tradition of Theme-Based Decorations in the White House? First Lady Jacqueline Kennedy began the tradition of selecting a theme for the official White House Christmas tree. In 1961, the tree was decorated with ornamental toys, birds, angels and characters from the “Nutcracker Suite” ballet. Then in 1969, First Lady Patricia Nixon selected the “American Flowers” theme for the White House Christmas tree. She arranged for disabled workers in Florida to make velvet and satin balls featuring each state’s official flower. Since the first lighting of the White House Christmas tree in 1923, this has become a tradition at the White House that every president has taken part in. 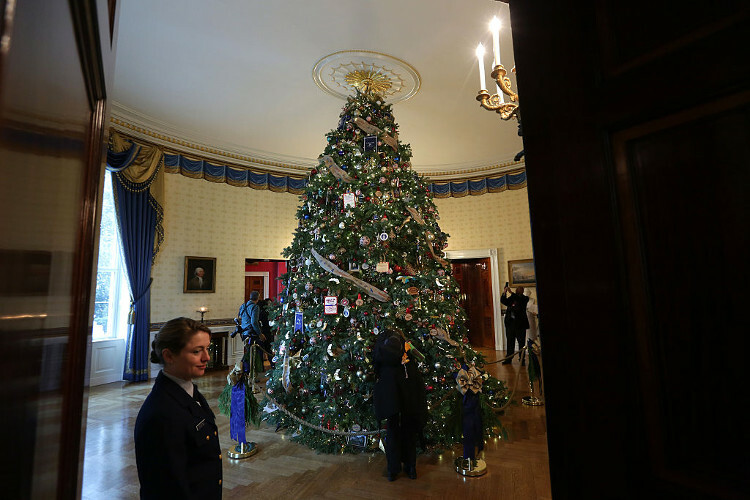 Since 1966, the National Christmas Tree Association has held a competition for the White House Blue Room tree. This year, President Obama and First Lady Michelle Obama will light the Christmas tree, and select a theme for the last time. After January 20, 2017 they will be gone, but this wonderful tradition will remain and make memories for years to come.